Spend the holiday out on the Pacific, looking for blowholes and flukes. Briny breezes, a glass of bubbly for your mom, and loads of ocean-amazing sights: Join a special cruise on Sunday, May 14. 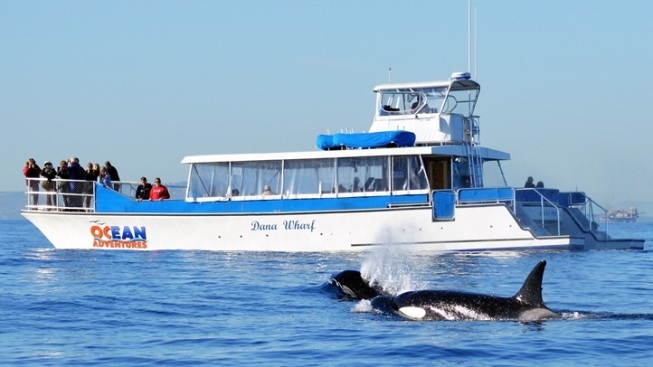 DANA WHARF WHALE WATCHING CRUISE: And it is a special cruise at that, for there's a glass of bubbly for Mom waiting, and pastries, and seasonal fruit, and juices, and, yes, MOMosas (or, if your party isn't in the mood for orange juice, just straight-up Champagne'll be on the pour, too). You'll take a two-hour spin on the 10 a.m. cruise, and if plenty of eyes on-board are scanning the ocean's surface, a whale's fluke or back or blowhole might soon be seen. The boat is the Ocean Adventures Catamaran, what will be spied that day will be up to the critters, both on the wing and below the surface, and the cost is $49 per adult and $29 per child. Brunch is cool, and at-home revelry, too, but having a bracing 'n briny outing on Mother's Day feels like one for the books. As for what's seen each day? Dana Wharf Whale Watching keeps an online log.